Our Leisure cycling tours are designed to allow plenty of time for sightseeing and to enjoy all the Yorkshire Dales has to offer. The tours cover much less distance each day than our ‘road cycling tours’ and we provide you with suggestions of places on interest along the route. 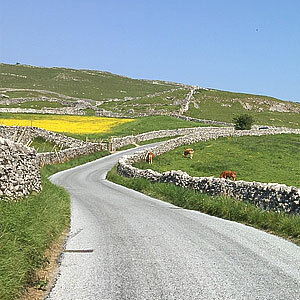 This tour is designed for those relatively new to cycling or riders wanting a gentle introduction to cycling in the Yorkshire Dales. The emphasis will be enjoying rolling on two wheels at a steady pace comfortable for all riders in the group. Regular cafe stops will feature every day and the social aspect of the tour is very important. The tour features 3 rides that showcase the incredible variety of roads and scenery in Yorkshire. Heading in a different direction each day, you will ride sections of the Tour de France routes and the Tour de Yorkshire as well as more undiscovered roads that both inspire and challenge. Daily mileage will be around 25 - 50 miles, but there is flexibility and the rides can be shortened or lengthened based on the consensus of the riders. Each morning there will be a briefing on the day’s ride showing the map, the profile and the terrain. Prior to departing each day, the team mechanic will be available to check the bikes. Carefully chosen cafe stops will feature on each ride and typically there will be at least 2 stops each day. 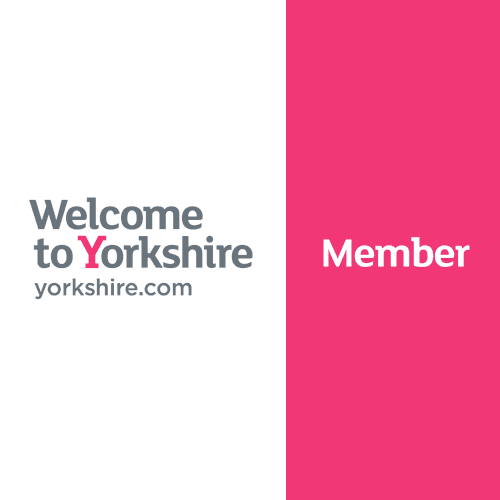 Accommodation is based in the lovely town of Ilkley, a location which is simply a gateway to the Yorkshire Dales. When the Tour de Yorkshire cycled through the town in 2015, the TV commentators described Ilkley as the ‘capital of cycling in Yorkshire’. The town boasts the largest cycling club in the country where almost 10% of the population are members! You will stay at the Wheatley Arms which sits just below the Cow and Calf rocks. There are twelve gorgeous bedrooms including loft rooms and generously sized suites. All with luxurious bathrooms and some with roof top terraces and rolling views over Wharfedale and the famous Ilkley Moor. The Wheatley has consistently received excellent reviews on TripAdvisor and has the TripAdvisor ‘Certificate of Excellence’. It also takes pride in using many local suppliers for food and drink, including craft beer on draught produced by the two well respected breweries in Ilkley. Evening dining is an important part of this tour. The food at the Wheatley Arms is very good, so we suggest you ‘eat in’ some nights. However, the town of Ilkley does boast some lovely restaurants. We can advise you on the choices available (we have plenty of experience here!) in order for you to find something which really suits you. The town also has several great pubs and bars. Arrive in Ilkley afternoon / evening at the Wheatley Arms. Introduction to the tour in the evening and briefing on the next day’s ride. The first day is all about getting comfortable on the bike and getting to know the other riders on the tour. Before the ride, we will provide a briefing on all aspects of riding, including cycling in groups, choosing the right gears for the terrain and ride safety. The route takes you along the quiet ‘back road’ out of Ilkley up the Wharfe Valley to the historic Bolton Abbey and a chance to see the ruined Priory and the Church. We’ll stop for a coffee by the river and ensure everyone is happy with the riding arrangements. From here, the route heads further up the valley to Burnsall, where many scenes from the film Calendar Girls were filmed. The lunch cafe stop will be around the half way point in the ride after which we return to Ilkley on the opposite side of the river through Appletreewick with views over to Simon’s Seat. This route is slightly longer than day 1 with some hills, but nothing too long or steep. Initially travelling down the Wharfe Valley, we soon head northwards through series of delightful villages heading to the morning coffee stop. We then head towards the smart town of Harrogate before branching left towards Darley, eventually ending up at the lunch stop near Blubberhouses (which was on the route of the 2014 Tour de France). A steady hill takes us up the moor before descending back into Ilkley. A similar start to the ride as day 1, this undulating route veers off the Wharfe Valley through Hetton and Airton. The highlight is a visit to the breathtaking Malham Cove. Alternatively, stay a few more nights and enjoy the many things Yorkshire has to offer!